The moon creates the tides because of gravity. The gravitational pull between the moon and the earth causes the ocean to bulge out toward the moon. 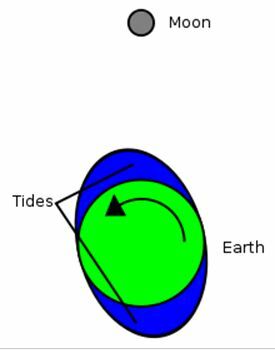 Because the moon is rotating around the earth, this bulge occurs twice a day so that there are two tide cycles each day occurring a little more than twelve hours apart.